The blurb had me hooked. I came across this book when I was trying out Kindle Unlimited. It was quite annoying that most of the books available on Kindle Unlimited were just not appealing to me. This one, however, sounded interesting, that of course, meant nothing. Many a time an interesting sounding book has ended up being boring, or just not strong enough to keep my interest. So I approached this book with trepidation. I needn’t have worried. This was a book that I enjoyed immensely. Narrated jn first person by Jenny, she takes us through the emotional roller coaster that she is on. 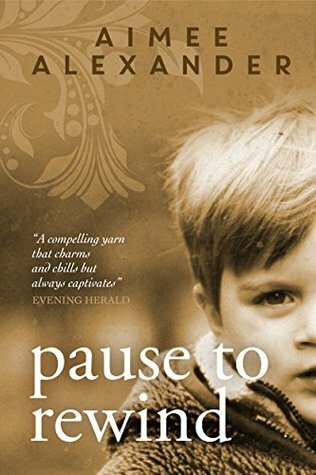 The life that she had carefully made for herself and her little boy had just been upturned, and she is now being forced to face up to the past that she had been running away from, the past that looked like it would come back to haunt her. As a mother, whose first priority is her son, Jenny is left with very little choice. A story that had me reading with tears running down my cheeks. The end was predictable but I still found it interesting. A book I would wholeheartedly recommend. It’s a book I would go for, armed with a box of tissues. A 4.5/5 read for me. Aimee Alexander is the pen name of bestselling Irish author, Denise Deegan. Denise writes contemporary teenage fiction under her own name. 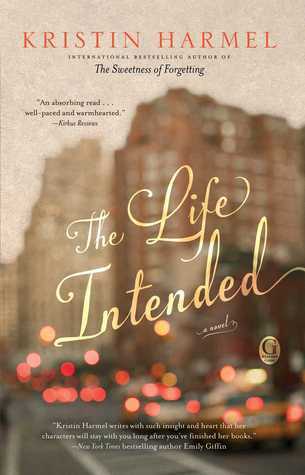 As Aimee Alexander, she writes contemporary adult fiction that focuses, largely, on family and relationships. I got this book from NetGalley in exchange of a fair and honest review. On the night that Shelly Buckner finally became a mother, she very nearly became a widow. While Shelly was in the hospital, in labour, Eric, her husband has a near fatal accident, on his way to the hospital. For 8 minutes, he was dead, before he was revived and rescued by the rescue team. Three years have passed since that near fatal accident and the joyous birth of their son, Toby. Eric and Shelly have gone through and survived some difficult times, as he went through the process of recovering from his horrific experience. They have managed to put away their ordeal, apart from the changes that have come about in Eric. His accident has changed him in some ways. While Shelly understands that such a horrific experience can change anybody, she still misses the sensitive husband of hers who was emotionally present for her whenever she needed him. She misses him most when Toby suddenly brings home an imaginary friend, John Robberson. According to Toby, John is a Fighter pilot and all of Toby’s games suddenly change to violent plane crashes which end with a broken leg. Shelly is initially alarmed that a grown man seems to have befriended Toby, while Eric was looking after him. However as Toby reveals more details about John, Shelly’s fears escalate. She turns to Eric and she finds that Eric is dismissive of her worries. ‘The old Eric would have never done that’ is Shelly’s first thought. Toby, in the meanwhile starts showing personality changes, which has Shelly completely worried. 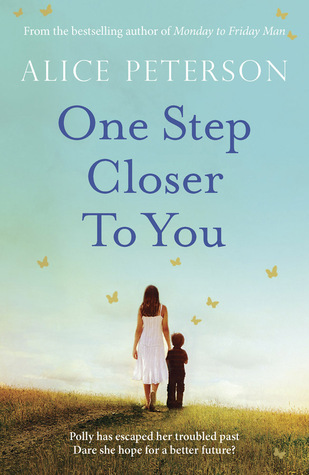 As she struggles to understand what her son is going through, she and Eric grow further apart. Shelly doesn’t understand what exactly is happening, but instinctively knows that John Robberson needs to go from their lives for things to go back to normal. 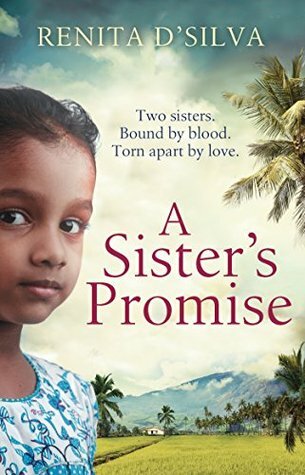 I wish I could tell you more, but you are going to have to read it to find out what happens next, but I can assure you that it is a nail-biting read. I had an inkling of what was coming, but the way it ended – I loved that. I really liked the characters, believable and real. I liked the premise of the story. It was well thought out. Shelly’s desperation comes through so well, and her motivation. As well as her loneliness, the loneliness of being in a situation where the person closest to you is the farthest from you, emotionally. And even worse, when you know that the true nature of that person is so different. Shelly’s state of mind is beautifully explored. I also liked the way the book explored other belief systems, the way some beliefs are accepted in such a different way in different cultures. I would love to say more, but would hate to spoil it for you guys, if you do plan to read it. A 3.5/5 read for me. Lori Reisenbichler has always loved a good story, but she did a lot of other things before she got serious about writing. She holds an MFA in Creative Writing from Spalding University and has told stories onstage at The Moth and and the Dallas-based storytelling series, Oral Fixation. 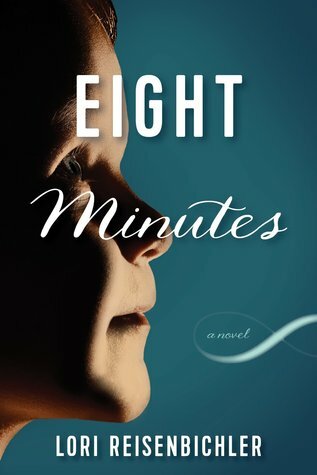 Her debut novel, Eight Minutes, will be available in February 2015. Lori was born in Moore, Oklahoma and grew up near Kansas City, Missouri. She now lives in Dallas, Texas with her husband. Thankfully, their three grown children live close enough to enjoy, and are grown enough that she has time to sit in coffee shops and make things up. She’s hard at work on her second novel. This was another one of the NetGalley books. I can’t say how much fun I have on the site, browsing through, looking for books to request for, and the joy, when they get approved. Of course, I feel awful when I get declined, but that gets forgotten in minutes. 27-year-old Daisy has almost completed three cancer free years. She and her husband Jack are about to celebrate their ‘cancerversary’ when she is told that her cancer is back, and this time she might not be as lucky as the last time, it’s a stage four diagnosis. Daisy has just months to live. Daisy is worried, not for herself but for her husband. Jack is a brilliant, very intelligent person but completely useless when it comes to house hold stuff. Stuff which Daisy manages for him completely. She knows that he is going to struggle without her. 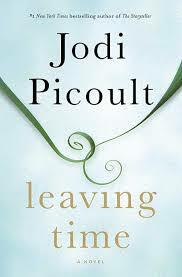 As she obsesses about her death she comes to the conclusion that there is only one thing that she can do in the time she has on her hands – find a wife for Jack. Does she succeed in finding Jack a new wife? You’ll have to read it to find out. All I will say is that it makes for an interesting read. What could have been an intense and sad read turns out to be a light, and yet insightful read. We go on a journey with Daisy as she goes around finding a wife, not just any wife, the perfect wife for Jack. She leaves no stone unturned, giving us a lot of hilarious moments which are at the same time, heart-breaking, given Daisy’s circumstances. Some moments which has you laughing, others where she has you in tears. The emotional turmoil that Daisy goes through is brought out well. I liked the fact that the book also explored Daisy’s relationship with her mother and her close friend. The way she reacts to the diagnosis is very well written. How do you react when you’ve been told that you have just 4-6 months to live? When you are so young that everything in life is still ahead of you. Suddenly that degree that you are pursuing holds no meaning. All the things you looked forward to, like becoming a mother or redoing your house is suddenly not even a distant possibility. Hope, that thing which keeps people going is suddenly gone. Daisy’s reaction to her diagnosis has all these elements covered, and your heart goes out to her. As I said before, it is an interesting read. A 3.5 read for me. The only things that took away from the book was that I couldn’t relate to Daisy in her quest at times. It mad me at her sometimes, it felt unrealistic at times. Having said that, I still felt that it was a worthy read. Colleen Oakley’s articles, essays, and interviews have been featured in The New York Times, Ladies’ Home Journal, Marie Claire, Women’s Health, Redbook and Martha Stewart Weddings. She lives in Atlanta with her husband, two painfully cute kids and a huge lapdog named Bailey. 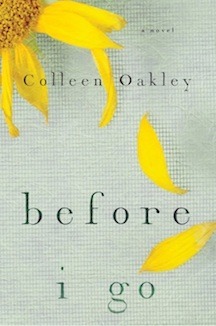 Before I Go is her debut novel. This book is available for pre-ordering from Amazon(UK).